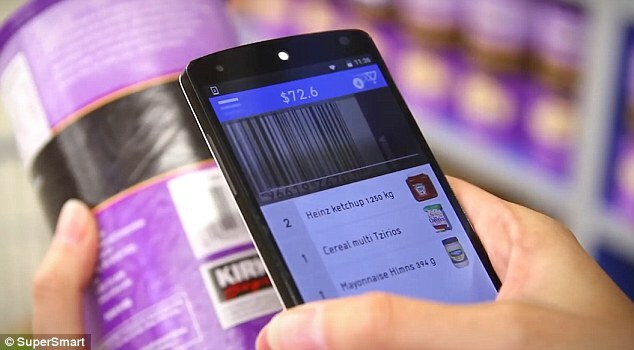 Supermarket cashiers and self-scan checkouts could become redundant thanks to a new app that speeds up the weekly food shop. The app, called Supersmart, allows users to scan items as they shop using their smartphone and then wheel them to a special floor pad. Several cameras and a deep-learning algorithm combine to detect all the items, before the customer pays for them at an automated checkout. It is hoped the technology will be quicker than both self-scan checkouts and human-operated tills. 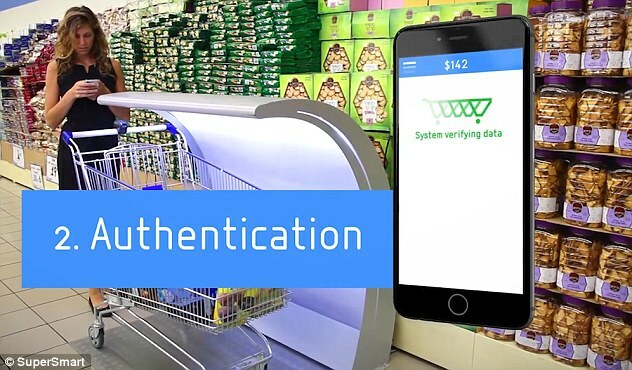 The combination of technology will even alert the shopper to any items they may have forgotten to scan before they leave. 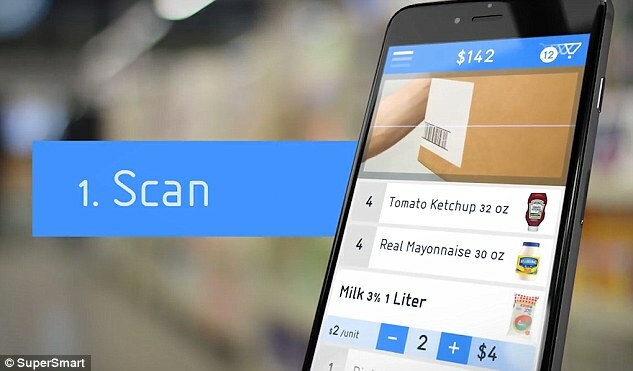 Yair Cleper, developer and founder of Supersmart, created the app in his native Israel in partnership with supermarket chain Osher Ad. Osher Ad introduced the system into stores in 2016 after trials at various locations. Mr Cleper said: ‘It is all designed to be as easy for shoppers as possible and can deal with up to about 180 items. ‘This is how we see shopping being done in the future. Mr Cleper claims the payment process should take no more than 30 seconds from start to finish, rapidly speeding out checkout times. Supersmart has developed a basket-sized machine to assess smaller shops. Mr Cleper claims the methods used currently take time due to the need to re-bag the items and remove them from the trolley. By removing this step, he hopes to avoid long delays during peak times. Mr Cleper also says he is also in discussions with at least one major UK supermarket about using the technology. 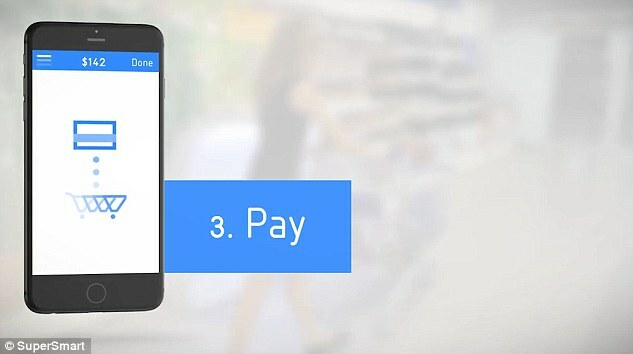 Michael Hoffmann, of Visa, which has been helping Supersmart develop its product, said: ‘This system will work in a real world environment and could significantly reduce the time customers spend at check-outs. Amazon have launched a similar fully-automated store this year that, much like Supersmart, cuts out the need to go to a cashier before leaving. Unlike Supersmart however, Amazon shops do not require customers to stop at a automated machine before leaving, instead using cameras and sensors to track the pick-ups and purchases of customers as they shop.